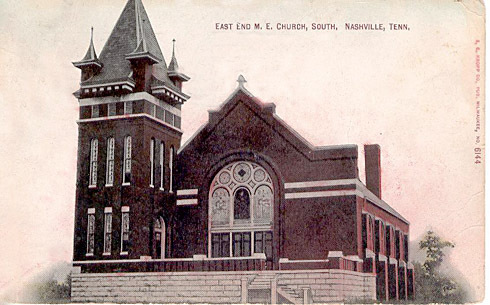 “East End Methodist Church was established in 1889, but it soon outgrew the first building it constructed at 1100 Fatherland… In 1905, the congregation purchased the land on Holly Street for $2,500 and funded the $14,000 needed to start basic construction. 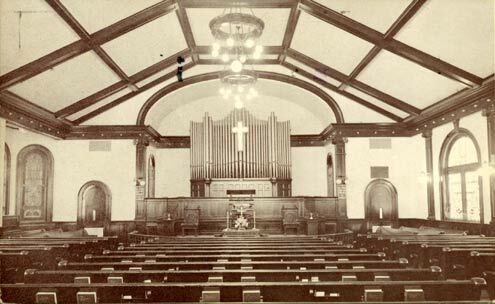 On Oct. 27, 1907, the sanctuary was complete and a capacity crowd attended worship service and laid the cornerstone. The sanctuary is lined with stained glass windows, which were purchased by members in honor of deceased loved ones. The main window serves as a tribute to the Rev. W.R. Warren, the church’s first pastor.